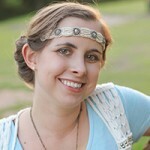 In honor of Skin Cancer Awareness Month, my last post was about skin cancer signs to look for. Now let’s focus on sunscreen and ways to prevent sun damage. There are two different types of sun rays that affect our skin: ultraviolet A (UVA) and ultraviolet B (UVB). UVA is 30 to 50 times more prevalent than UVB, and UVA penetrates deeper layers of skin. UVA rays cause tanning and affect skin aging. More importantly, UVA rays damage skin DNA and weaken the immune system, increasing the risk of skin cancer, specifically melanoma. Unlike UVA, UVB rays penetrate only the outer layer of skin, cause sunburns, and harm skin cell DNA, increasing the risk of basal cell and squamous cell skin cancer. Preventative measures need to be made to block both UVA and UVB rays. 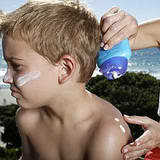 The FDA has new rules for sunblock that will be in effect summer of 2012. Testing and proper labeling will be required for all sunscreens. Before, not all sunscreens labeled “broad spectrum” protected against UVA rays. Now, any sunscreens with the label “broad spectrum” will cover both UVA and UVB rays, protecting against sun-related premature aging. In addition, any labels of “SPF 15” or greater claim to protect against skin cancer. Another rule the FDA is enforcing is how long a sunscreen is water-resistant after swimming or sweating before needing to be reapplied, but most sunscreens are unlikely to last more than 2 hours. You must read the ingredients when choosing sunscreen. Different types of ingredients protect for various things; and some are chemical sun filters, while others are natural sunblockers. Chemical sun filters, such as oxybenzone, octninoxate, avobenzone, mexonyl SX, mexoryl XL, and tinosorb, absorb into skin and absorb UV ray energy, converting it into something less harmful to the body. On the other hand, natural sunblock ingredients, such as titanium dioxide and zinc dioxide, sit on the top layer of skin and deflect rays away. Titanium dioxide blocks UVB rays and short-wave UVA rays. As the name shows, this natural sunblock is made from titanium. It is believed titanium dioxide stays on the stratum corneum, top layer of skin, but there is a possibility it is absorbed deeper. Also, with sun exposure there is a possibility harmful free radicals are created. These negative side effects are inconclusive and additional research is needed. Unlike titanium dioxide, zinc oxide is known for multiple benefits. It is the only known mineral compound that blocks UVB rays and both long and short UVA rays. Zinc oxide is also known to help heal wounds, treat acne, reduce inflammation, and work as an astringent (shrinking skin cells and tightening body tissue). When zinc oxide is used as an active ingredient for sunscreen, it should be 15% to 20% of all the ingredients. Zinc oxide and titanium dioxide are used in combination for many sunscreens, to create a broader cover. Because they aren’t absorbed into the skin, zinc oxide and titanium dioxide have a white chalky appearance, but some manufacturers have formulas that are less noticeable and work well with makeup, by making the particles smaller but not small enough to clog pores. To help fight off potential free radicals from the titanium dioxide, I suggest looking for sunblocks that use natural fortifiers to enhance the effectiveness of the minerals and fight free radical damage, such as green tea, Vitamin C, and Vitamin E.
After choosing the sunscreen that is right for you, whether it is all natural, uses chemical sunfilters, or is water and sweat proof, make sure you apply it correctly and everyday, even during the colder months. Read directions in regard to how much sunscreen to use and how often to reapply. The FDA isn’t recommending spray sunscreen for this reason. Many customers aren’t applying the useful amount needed. Make sure you apply sunblock 15 minutes before going out and that it evenly covers all exposed skin, especially lips, nose, ears, neck, hands, and feet. If you have thin hair, make sure you apply it to the top of your head. Also, after the age of 6 months, sunscreen should be applied before every outing on children. In addition, try avoiding outdoor activities from 10am to 2pm, when sun ray levels are at their highest. Taking preventative measures against skin cancer is very important. Sunscreen should be used on a regular basis and long clothes, hats, and sunglasses should be worn for added protection. It is ok to have fun in the sun, just make sure you are safe about it. Wearing sunscreen and reapplying it during outdoor activities, should become a habit for your health, just like brushing your teeth. As far as I know there are two important genes that are responsible for cancer if it is hereditary. I think they are BRC1 and BRC2 . I have heard somewhere. I didn’t knew that there are 9 genes responsible for cancer. In the website http://breastcancerguide.weebly.com , i have made a small attempt to share some basics of breast cancer , its treatment , diagnosis and side effects. Please share your thoughts regarding the same. Also there is an e-book called “Cancer free cookbook” which is the guide to treat cancer naturally and effectively.